Print this document to your desired poster size. Laminate and write directly on the laminated poster with dry erase or wet erase markers. 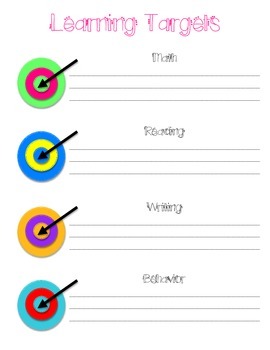 Write each day's learning targets for Reading, Writing, Math, and Behavior right on the poster. A great resource and easy way to display your "I can" statements.